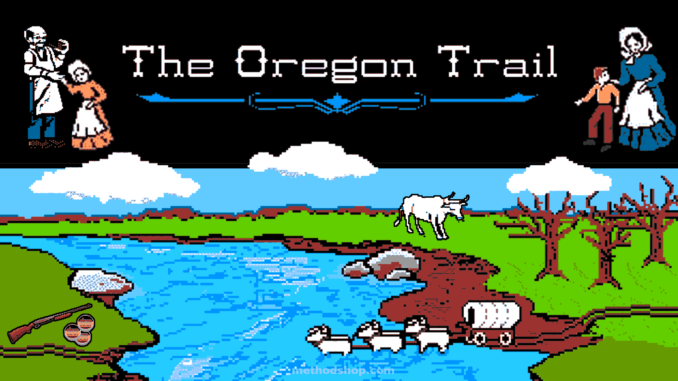 As a covered wagon party of pioneers, you head out west from Independence, Missouri to the Willamette River and valley in Oregon. You first must stock up on provisions, and then, while traveling, make decisions such as when to rest, how much food to eat, etc. The Oregon Trailincorporates simulation elements and planning ahead, along with discovery and adventure, as well as mini-game-like activities (hunting and floating down the Dalles River).